Ah, the allure and the romance of The City of Lights. 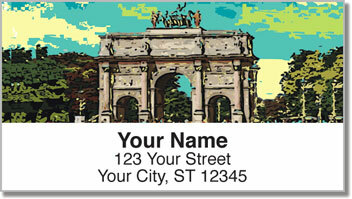 It’s the premier destination for world travelers like you, and dreamers too! 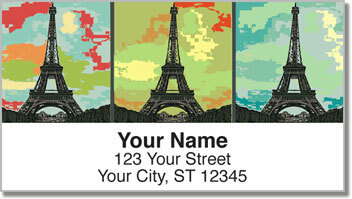 Our artist melded the modern with the historic when she worked up the enchanting designs for our Dreaming of Paris Address Labels and Dreaming of Paris Personal Checks. While stunning graphics of the Eiffel Tower, Arc de Triomphe and other architectural landmarks are the focus of this collection, we’re equally taken with the color-coded map of the Métro de Paris. 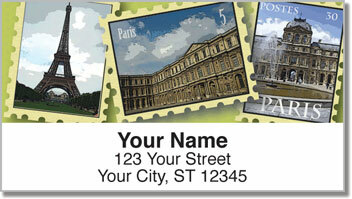 So go ahead—indulge yourself by returning to France every time you mail an envelope! 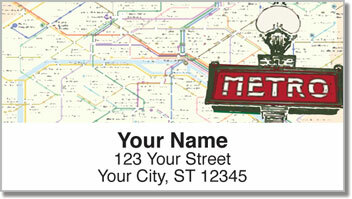 Order your very own Dreaming of Paris Address Labels and matching personal checks today!